I saw the crane family today in their usual area. I think the colts are close to 4 weeks old now. This guy was taking a rest under a palm while the others were busy foraging. 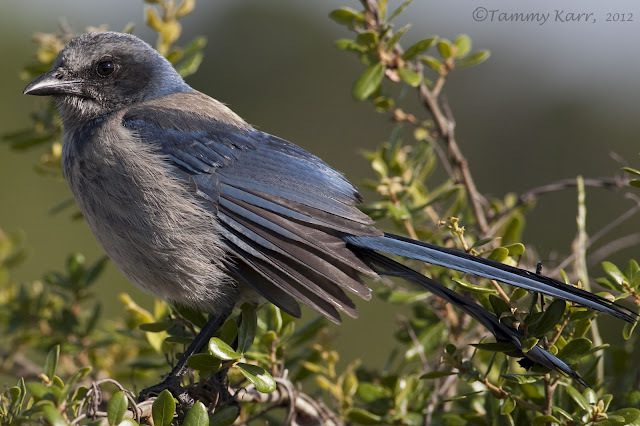 I stopped by the nearby Scrub-Jay sanctuary this morning as we had a few minutes to spare before an appointment. This guy was showing us his early morning stretching routine. Not much to say about this one...except maybe, have a relaxing weekend! Beautiful images Tammy. It's always a pleasure to get a quick update of the Florida fauna! Just laughing at that corn cob feeder! Too cute! Lovely photos and an interesting feeder. Qué linda la ardilla.. me encanta.. Y el pollo muy tierno.. Bonitas imágenes Tammy y bellos pájaros.. Buen fin de semana también para ti.. Un abrazo.. I am impressed by to proximity you reach! The las pic made me laugh.... who screwed that piece of furniture on the tree? Your son or yourself?? LOL! Glad a squirrel likes it!!! Schöne Bilder das letzte Bild ist klasse.Wünsche ein schönes Wochenende. 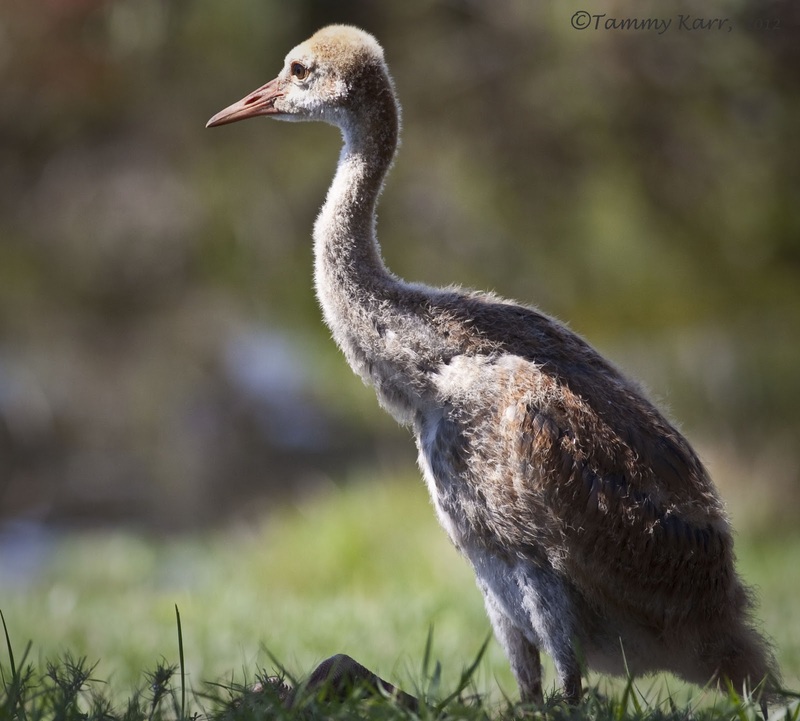 Gorgeous, Tammy! The colts are getting big. Your jay shot is beautiful! Beautiful pictures especially the last one is very nice. Greets Irma from the Netherlands. The Jay has beautiful colours, a bit like our version in the UK. Nice shots as ever. 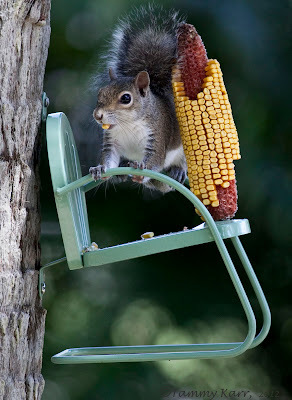 I love the chair with corn, good idea to feed. Like the birds corn also? I have never tryed. Sure was an interesting feeder. How does it work ? Great phots Tammy ! Preciosas las fotos con una calidad excepcional. la segunda me encanta. Enhorabuena Tammy tus fotos son tan bellas como tu. Saludos desde Extremadura. Como siempre ver tus fotos es maravilloso. La segunda es muy buena y la tercera muy graciosa. Muy chulas. Me han encantado las fotografias. Un beso desde Murcia. I love the squirrel shot! Buenas tomas y buena nitidez, la ardilla muy simpatica.